Hey! 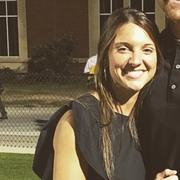 I'm Meredith, and I'm an elementary school teacher in West Columbia. I have been in education for 4 years now, and I've been babysitting for 10+ years. I am also CPR certified. My husband and I have a black lab, so pets are not a problem!